The Montage homes feature master suites, a wet bar, a great-room layout and an island kitchen, dual master suites and a den and options for a studio over the garage. Travata homes in Summerlin real estate offers four home designs ranging from 2,071 to 3,000 square feet. Select Travata designs feature a a two-level master suite, kitchen and breakfast nook off the entry and a third-floor vista room with windows. Pricing is from the high $400,000s. West Park new homes for sale in Summerlin will comprise a neighborhood park with a swimming pool. Call 702-505-6988 for VIP Summerlin home representation in West Park by a Las Vegas real estate agent. 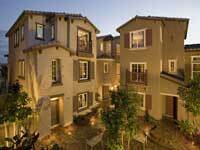 Ryland Homes Las Vegas real estate offer 40 percent off new homes in Las Vegas mortages in West Park.